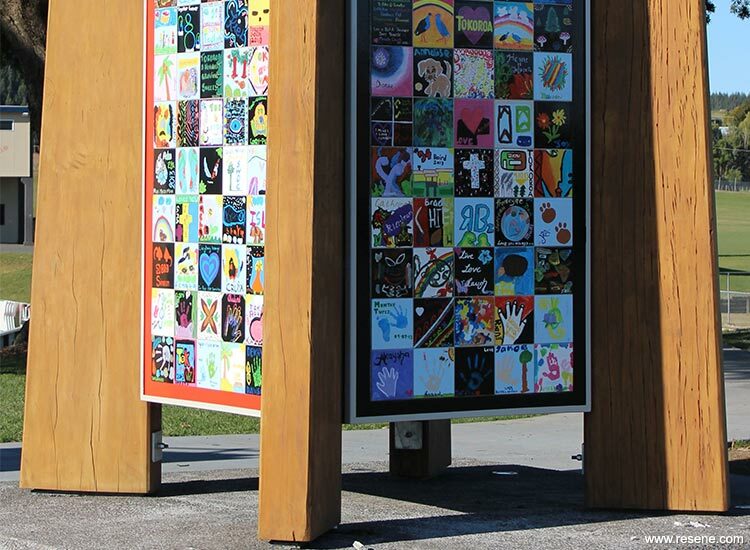 Tokoroa’s tall sculptures were first suggested by landscape designer Colleen Priest, as part of concept designs for the Central Business District upgrade for Tokoroa in 1996. 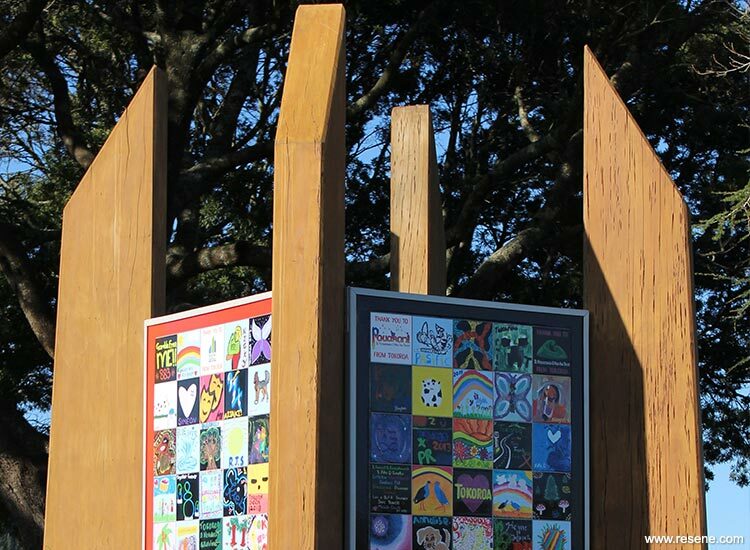 At a public meeting in 1997 there was very positive support for the idea of a collection of sculptured poles representing Tokoroa’s many different cultures, clubs and organisations. The project was enthusiastically supported by residents and has produced over 45 Talking Poles in a variety of themes, styles and materials and there are more poles in the making. The sculptures can be seen mainly around the CBD of Tokoroa and form a trail for tourists to follow. The sculptures have helped to build pride in the town, and are now an established tourist attraction. Many local businesses contributed funds and in-kind support. Talking Poles Trust hosted a Tile Art Symposium in late 2013 with a focus on a tiled pole created by the community. A four-pole structure of native timber pillars gave the Community an opportunity for them to design their own tile to add to the pole at the Tile Art Symposium. 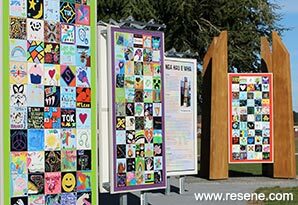 The Tile Art Pole was for the community, by the community and involved them as the artists. 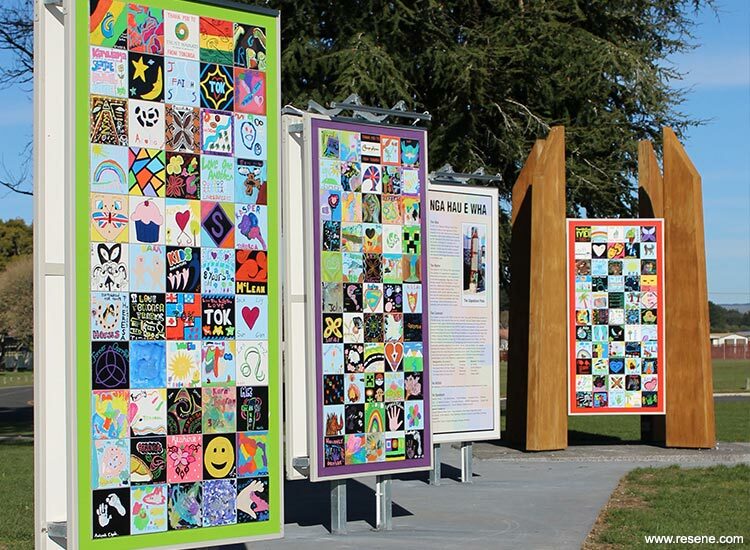 The tiles are their thoughts, vision, and provided a legacy as part of the community of the South Waikato. There was an open area for all to come in and create a tile art piece, each 20 x 20cm. Over 500 tiles were painted using Resene Waterborne Smooth Surface Sealer and Resene testpots in a palette of colours including Resene All Black, Resene Guardsman Red, Resene Tahiti Gold, Resene Moon Yellow, Resene Christi, Resene Curious Blue, Resene Scarlet Gum, Resene Fuchsia and Resene White. In 2014/15 the structure and placement was completed. 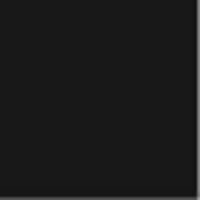 The overall concept is that of a tree. The solid tile boards provide the trunk (body), the colourful tiles provide the leaves, and the four Totara timber columns represent both the mighty branches reaching for the heavens and strong roots that anchor the whole piece to the earth. The township of Tokoroa continues to have strong association with forestry and the local timber mill. The four totara columns of the Nga Hau E Wha were sourced from 700 year old trees that once stood in the shadows of Titiraupenga and Pureora Mountains. All four columns have been carefully aligned to True North, South, East and West.